Marla is led by our guide Marco on the last pitch of Diablo Mudo's (5223m) "penitente" studded glacier. 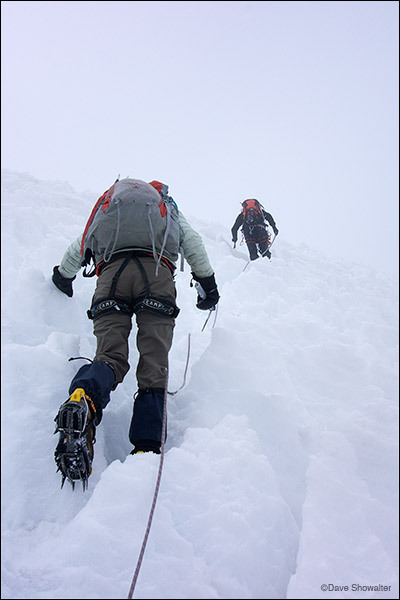 Considered an easy peak in the Cordillera Huayhuash, the "mute devil" was tough enough for us. Photo © copyright by Dave Showalter.